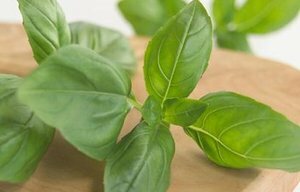 Basil is originally native to India, having been cultivated there for more than 5,000 years. Basil is commonly used fresh in cooked recipes. Basil is one of the main ingredients in pesto—a green Italian oil-and-herb sauce.